Lille SupremFit Maxi are all in ones designed for managing heavy to severe urinary and faecal incontinence. As they are easy to remove and are very absorbent, Lille SupremFit Maxi can be used by people who are less mobile or bed bound. 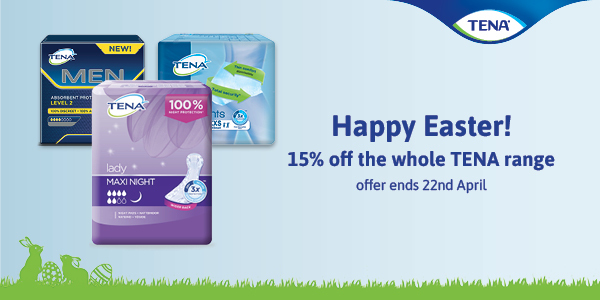 The pads feature resealable fixation tapes for a secure fit. Lille SupremFit Maxi features a wetness indicator so you are notified of when you should change the product. Odour control technology is included in the pads to allow you to relax throughout the day without the worry of unwanted odour. The pads have a breathable cotton feel back sheet to ensure your skin stays healthy and can breathe. Lille SupremFit Maxi features additional security barriers for increased comfort and leakage protection. The pads also feature wetness indicators, helping you to identify when the product needs changing. You can choose between sizes Small (60-100cm), Medium (77.5cm-123cm), Large (105-150cm) and XLarge (110-160cm). For less severe incontinence, you can try Lille Supremfit Super Plus. 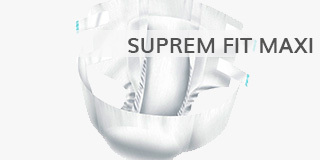 Lille Healthcare also offer the top selling Lille Suprem Form shaped pads, suitable for moderate to heavy incontinence. Incontinence care consists of more than using protective products. It is vital to take care of your skin to avoid irritation. Shop our incontinence skincare section to keep your skin free from irritation.